November 16, 2011  Google, Facebook, Twitter, AOL and eBay are among those urging Congress to ditch a piece of legislation they say will cause great harm to the Internet. The legislation, the companies argued, amounts to censorship. November 7, 2011  As an alternative to vaccinations, a Tennessee woman offered lollipops smeared with chickenpox virus. Health officials said that the chickenpox vaccine is much safer, and that mailing pathogens is both illegal and dangerous. 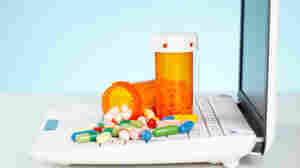 August 12, 2011  People searching online for information on prescription drugs have a 1 in 3 chance in being secretly hijacked to an online pharmacy instead, according to new research. Legitimate health information sites are being crowded out of search results by these search-redirection attacks. August 5, 2011  Cable and Internet provider Comcast is launching a new initiative aimed at bridging the digital divide, offering discounted web access and home computers to families that meet income requirements. July 13, 2011  The Internet, as you may have noticed, just seems to keep on growing. But not in China — in fact, Chinese officials said that the country had 41 percent fewer sites at the end of 2010 than existed one year earlier — mostly the result of government restrictions. June 20, 2011  Companies, cities, countries and others with deep pockets will be able to add unique suffixes to their Web addresses. They can also be in non-Latin script. June 16, 2011  In the first case of its kind in the U.K., a woman was convicted of contempt of court because she reached out to one of the defendants on Facebook. The clash between social media and the courtroom continues. 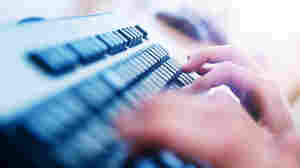 May 13, 2011  Eighty percent of adults who use the Internet have looked online for health info. Two-thirds have looked up a specific disease or medical problem. More than half have checked for info on a particular treatment, drug or procedure. March 2, 2011  The revolutions in the Middle East signal a new world order where the Internet is the main force for social change. February 21, 2011  "Write, don't think," could well be the tag line for the Internet generation as everyone rushes to publish their thoughts before even considering whether what they're saying makes sense. February 15, 2011  "I urge countries everywhere to join us in a bet we have made — a bet that an open Internet will lead to stronger, more prosperous countries," she says. Read her policy address. 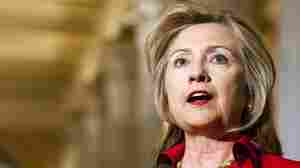 February 15, 2011  And in a line that's already getting into headlines, Clinton will pledge that the U.S. will work to promote Internet freedom — but caution that: "There is no silver bullet in the struggle against Internet repression. There's no app for that." January 19, 2011  There were 457 million Internet users in China by the end of 2010, according to a new report from the China Internet Network Information Center. That's more than one-third of the Asian giant's population.